Greed is never pretty. But during life-threatening situations like Hurricane Harvey, price gouging is an ugly reality. But sometimes short-term gain comes with substantial consequences. That’s the case of the former Best Western Plus Tropic Inn – now just the Tropic Inn – which could get hit with a six-figure fine for hiking rates during the horrendous storm. The Texas Attorney General took action after the property raised its rates nearly 300% during the storm. The usual $108 nightly rate surged to $289, the AG's lawsuit alleges. It also collected hotel occupancy tax on top of the room rate, even though state taxes had been waived by the Texas governor's office for storm victims and first responders. 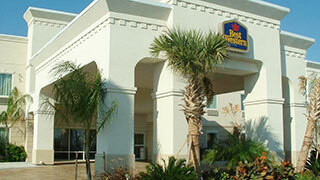 The hotel is now known as The Tropic Inn after Best Western cut ties last week following the allegations. "Best Western was founded on the principles of honesty, integrity, compassion, and service.~ We were deeply offended and saddened by the actions of this hotel. As a result, we severed the relationship with the hotel," the company said in a statement. The Attorney General's Office also filed lawsuits against two other companies for charging up to $9.99 for a gallon of gas. "It's unconscionable that any business would take advantage of Texans at their most vulnerable - those who are displaced from their homes, have limited resources, and are in desperate need of fuel, shelter and the basic necessities of life," attorney general Ken Paxton said.